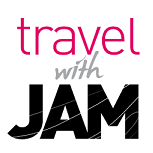 This March, Paris beckoned me and I got into the spirit of the city with my partner in crime, my mom. Since it was my mom’s first time in Paris I wanted her to experience Paris at her best and to the fullest. 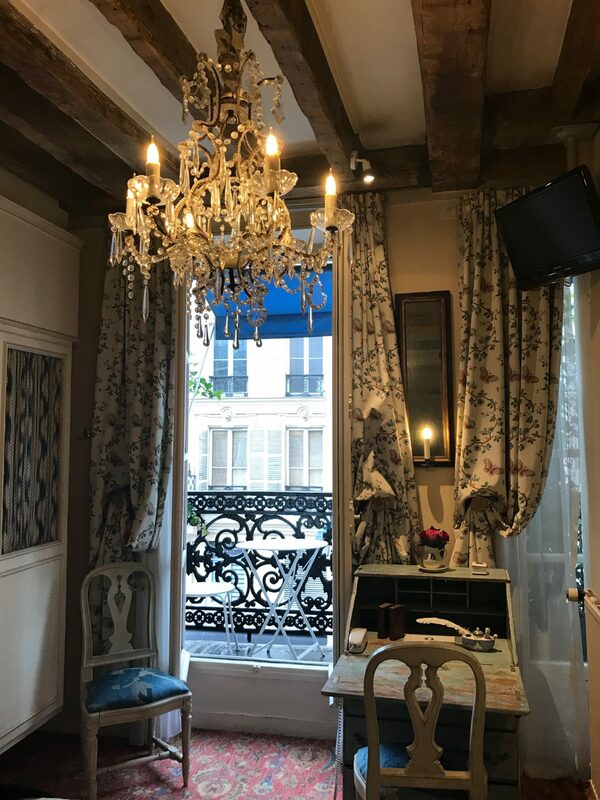 After extensive research and many no-charge booking cancellations on booking.com, I finally stumbled upon a Parisian jewel called Hôtel Marais Paris Caron de Beaumarchais. 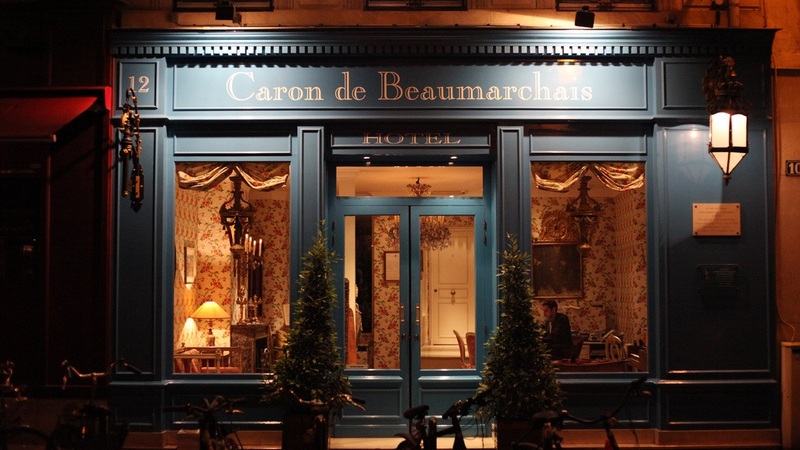 This very iconic and original hotel is located in the historical center of Marais. 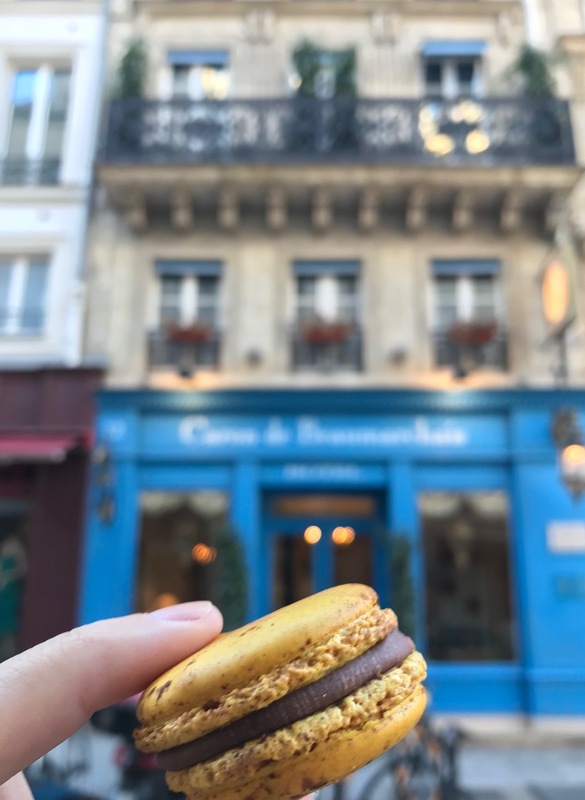 It features only 19 rooms and is named after the famous, 18th century playwright Beaumarchais, who lived close to this landmark hotel just up the street at Rue Vieille-du-Temple. He’s best known for the Figaro plays that he wrote here, of which, “The Marriage of Figaro” was adapted for the opera as “Le Nozze di Figaro” by Mozart. According to the hotel’s webpage, this is also where, in 1776, he founded the trading house from which he supplied George Washington and the American Revolution with ships and gunpowder until 1782 and Independence. Doesn’t that make him quite the rip-roaring fellow? 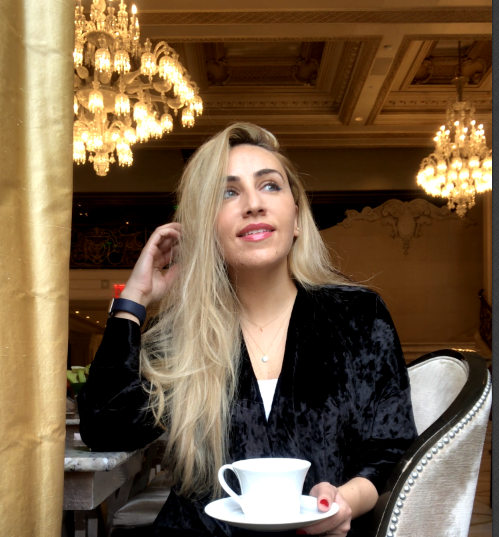 When you first step in, you will be welcomed in a statement room that has the distinct French regency style featuring rustic wooden furniture, crystal chandeliers and floral wallpaper. Truly, the à la Versailles room can take you to a bygone era where romance and luxury were part of everyday life. 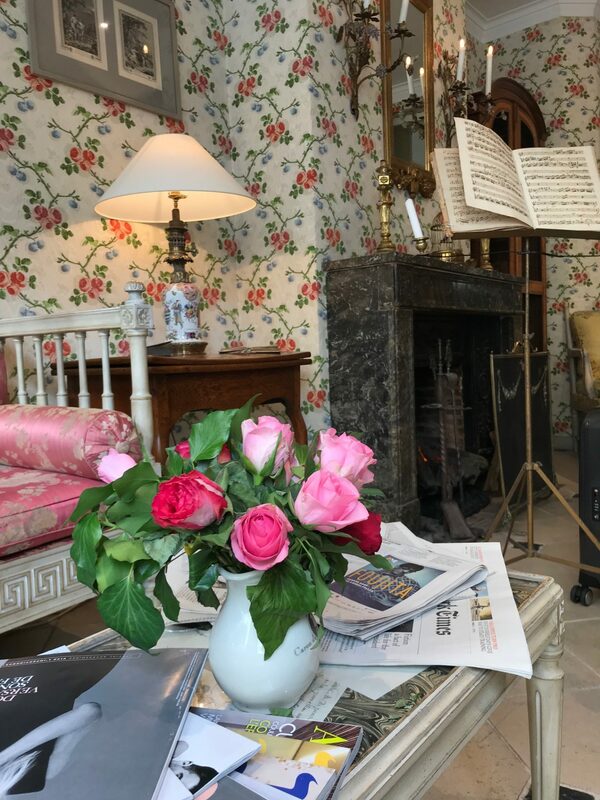 Even the scent of the room lets you imbibe the spirit of la littérature Française. Their iconic breakfast tray is a charming experience you don’t want to miss. 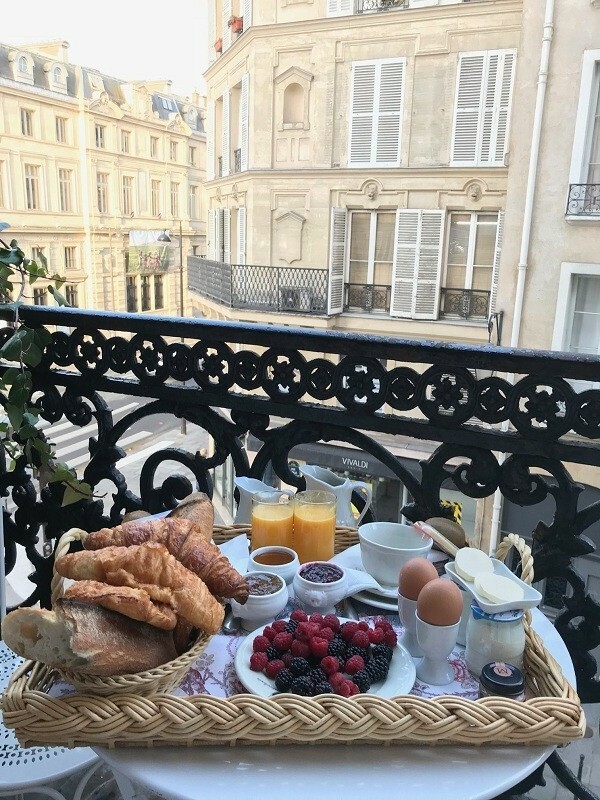 The big tray is served with the French breakfast essentials like baguette, jam & butter, cretons, yogurt, coffee, orange juice and croissant or pain au chocolat. We had a blissful stay, thanks to their very impressive staff who were polite, very helpful and delivered an impeccable service. 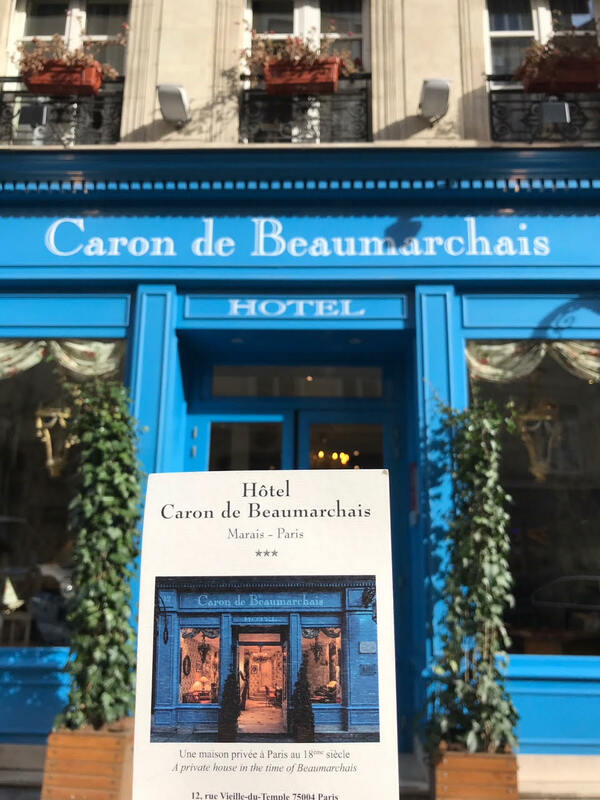 Thank you Hotel Caron de Beaumarchais for letting me share such beautiful and whimsical memories with my mom. Very interesting, loved the vibe of this hotel . Wowwwww the breakfast looks fabulous , Iam looking forward to staying in this nice hotel one day .